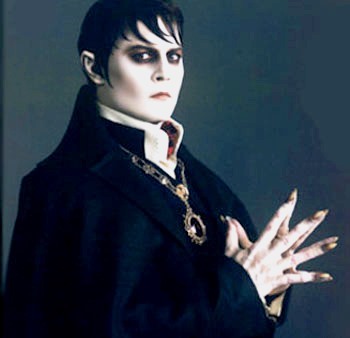 Barnabas Collins-Dark Shadows 2012. johnny depp as Barnabas Collins. Wallpaper and background images in the Film club tagged: movies dark shadows dark shadows 2012 johnny depp barnabas collins. This Film photo might contain mantello.